An elegant and practical table for hallway or end of sofa or lamp table for any small place. 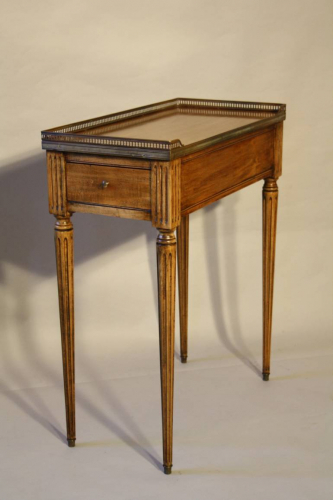 Carved fluted legs and gilt metal galleried top with drawer. French c1950.